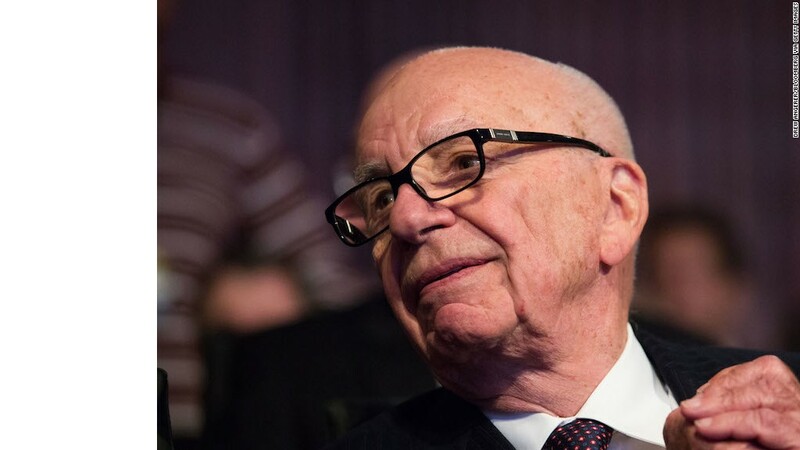 The British government has confirmed that it is ordering an extensive review of Rupert Murdoch's $15 billion planned takeover of Sky TV. U.K. culture secretary Karen Bradley said Thursday that she had asked regulators to examine the takeover because of concerns over 21st Century Fox's (FOXA) "genuine commitment to broadcasting standards" and the increased influence the deal would give the Murdoch family over British media. The Competition and Markets Authority now has 24 weeks to investigate the Fox-Sky deal. That means it won't happen before March 2018, if at all. "I must then come to a final decision on whether or not the merger can proceed, including any conditions that will apply in order to do so," Bradley said in a statement. Bradley had previously voiced concerns that the combined company would have the third largest reach of any news provider in the U.K., uniquely spanning television, radio, newspapers and digital publications. She raised new concerns on Tuesday about the company's commitment to broadcasting standards. James Murdoch, Rupert's younger son and CEO of 21st Century Fox, said Thursday that Britain's impending divorce from the European Union made it "more important than ever" for the country to welcome investment. "If the U.K. truly is 'open for business' post Brexit, we look forward to moving through the regulatory review process and this transformative transaction for the U.K. creative sector becoming an affirmation of that claim," he said. A group of British lawmakers recently pressured Bradley to examine accusations of sexual harassment against former Fox News boss Roger Ailes and former star host Bill O'Reilly. In a letter to the government official in July, the lawmakers argued that an initial review by Britain's media regulator had failed to address whether Sky's news division was at risk of becoming more like the American news channel. "In the era of fake news it is all the more important we protect trusted news sources from getting into the wrong hands," former Labour Party leader Ed Miliband wrote on Monday in the London Evening Standard. "How can we possibly trust the Murdochs with total control of Sky News?" Bradley reserved judgment on whether the "Foxification" of Sky News was a real danger, but said the issue might merit further consideration. She did say that further review of 21st Century Fox's governance was warranted, as well as the procedures the company had in place for ensuring its broadcast of Fox News in the U.K. complied with broadcasting standards. Fox announced in August that its controversial news channel would no longer be broadcast in the U.K. after failing to attract an audience. Bradley said Thursday that Fox and Sky had decided against making further substantive responses to her concerns and therefore she was ordering an immediate review. Its stock was trading around £9.32 ($12.30) per share in London on Thursday, roughly 13% below the price Fox has offered for the 61% of the company it does not already own.